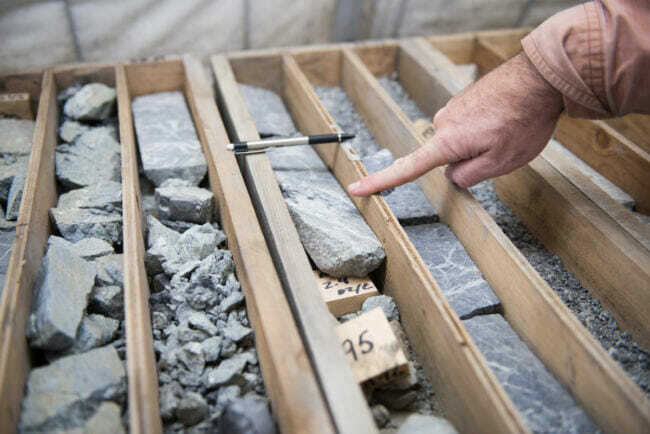 The proposed Donlin Mine could extract roughly 33 million ounces of gold during its initial 27-year production period. (Photo by Katie Basile/KYUK). The Alaska Department of Natural Resources (DNR) says the public can submit comments until September 6. The agency also extended the deadline for comments on how Donlin plans to pay for the clean up. Last week, the Yukon Kuskokwim River Alliance, a local working group that opposes the mine, sent a letter to DNR and the Department of Environmental Conservation saying there simply wasn’t enough time for the public to weigh in — specifically in the Yukon-Kuskokwim Delta. It’s the height of the subsistence season, and most people are gathering berries and fishing to stock up for the winter, the letter says, which means people can’t find the time to read and comment on a 400-page document. The local working group also asked for a public hearing. Faith Martineau, the executive director for the permitting process at DNR, says the agency is considering that request.